2 riders experience the thrill of over 20 different roller coaster rides that will be perfect for toddler ages, school age, high school to college age and the biggest thrill seekers as well. There is so many coaster programs to choose from that will customize the experience to the rider. 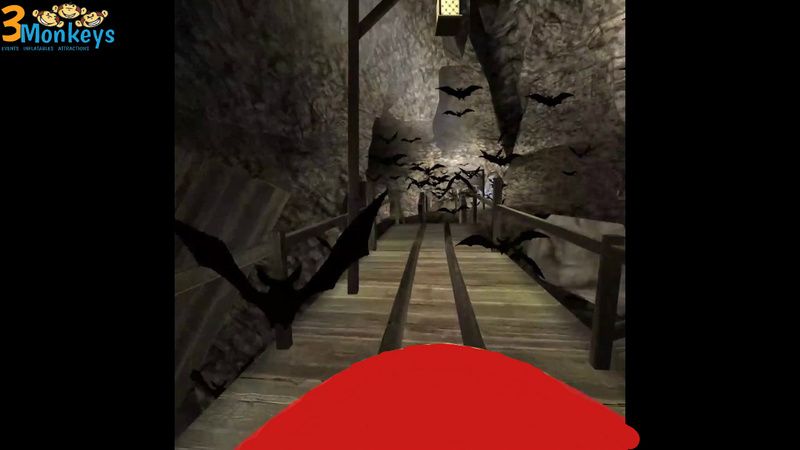 The VR Coaster is a complete virtual reality roller coaster simulator. With amazing visual scenarios, vibration and wind systems, the VR Coaster will take you on a thrill ride adventure! What works best is if the organization/individual renting chooses 4-6 programs that they will like to keep your line moving and participants able to spend more time in the seats then wasting time looking through so many different ride options. 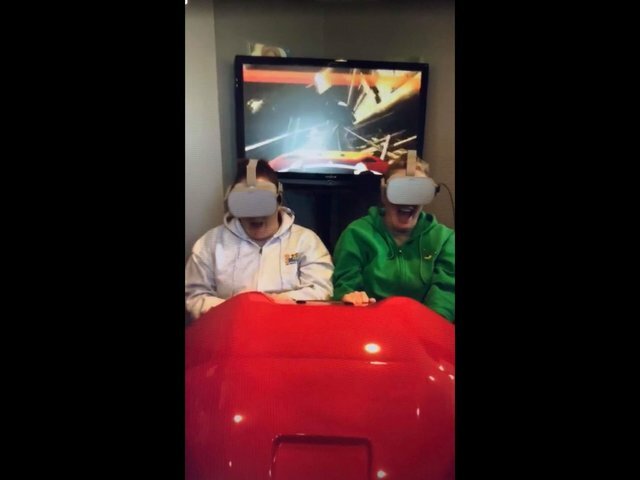 This VR simulator feels so real - and will have you gasping as you go around a turn or turn up on a track that might be breaking before your eyes! The coaster is designed with advanced vibration capabilities offering safe, low power, immersive ride effects. The variable-speed wind system is matched perfectly to each ride scenario bringing exceptional realism to the experience. Adventures, escapes, and edge-of-your-coaster-seat thrills await in each exciting and beautifully crafted ride scenario.